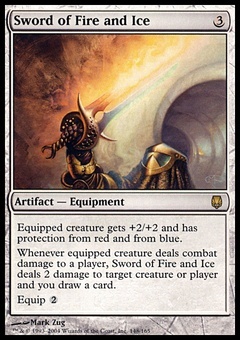 Drafna's Restoration ($1.50) Price History from major stores - Antiquities - MTGPrice.com Values for Ebay, Amazon and hobby stores! 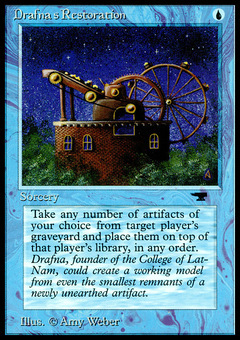 Card Text: Return any number of target artifact cards from target player's graveyard to the top of his or her library in any order. 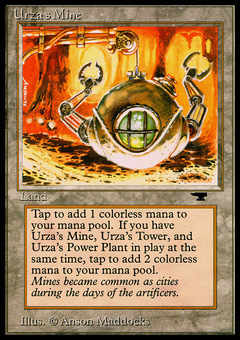 Flavor Text: Drafna, founder of the College of Lat-Nam, could create a working model from even the smallest remnants of a newly unearthed artifact.